Often, opening a business can be uncertain. Will I succeed right away? Will it take a while? How long? Will I fail altogether? These are all questions that will haunt you when opening a business, and thereafter. A business takes commitment. You must understand that your schedule may fill up or open up at a moment’s notice. You may need to put in extra hours at work – a lot of extra hours. A smart entrepreneur is brave enough to take on the responsibility. After getting committed, a business owner has to stay committed. William Hickson, a 19th-century poet said, “If at first, you don’t succeed – try again.” You’ve probably heard this old adage applied to many things. It rings true for success in business, too. For example, when making a sale, persistence is key. Likewise, when trying to grow a business, resilience is necessary. There will be failures and shortcomings but make a strong business plan (with the consultation of an expert) and stick to it. Last, it helps your business if your product or service fills a need. For example, I was out at lunch the other day and a delivery guy from a local restaurant delivery service came into the restaurant to pick up a meal for someone. My friend commented “They really filled a need in the market.” This was true. There was a need to get food delivered from restaurants that didn’t traditionally have delivery services. An entrepreneur identified the need and filled it! If you’re a small business owner, consider applying to some of the following grants. MWBEzone.com is a place to find grants and awards for small businesses, individuals, researchers, teachers, and other categories. Are you a small business looking for grants? Maybe your loans are drying up and business is a little slow. Get a grant to help boost your funds! MWBEzone is your source for individual and small business grants for minorities and women. Specifically, we have grants for small business for economic development from multiple states. There are a lot of ways to infuse a nation’s economy. One of those ways is the growth of small businesses. Small business can be improved upon in multiple ways. This can be done through small business technical assistance programs or job skills training and retraining programs. There are grants available for both forms of improvement and more. Subscribe to GrantWatch.com and read the grants details of the following grants listed at MWBEzone.com. Read Economic Development from the State and Local Perspective by David J. Robinson. 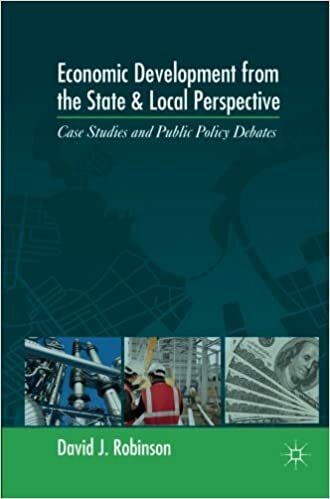 In this book, the author discusses how public to private partnerships and strategies originating from state and local levels help to create new jobs and reinvigorate the economy. GrantWatch.com is a sister-site to MWBEzone and the primary grant search engine. Every grants at MWBEzone redirects you to a GrantWatch ID. In order to view the entire details of the grant, subscribe to GrantWatch for one of the pricing and plans. Make sure that you have enough money for the present and the future. You have bills to pay and employees to compensate. Make sure you can afford at least 6 months of bills and paychecks into the future. Having this leeway gives you piece of mind and prepares you for lulls in business. Let’s say your income falls one month, as opposed to the month before. If you have the rent money saved, you can still afford to keep your storefront. Don’t hesitate to do so. You are a brand and your employees are your brand’s face. If your face is marred, how does that make your brand look? Don’t wait to fire bad employees who reverse sales and do things like recommending your competitor! You can’t get rid of these guys fast enough. Make room for employees who will drive sales and don’t let your customer leave empty-handed. On the flip side, provide adequate motivation for your top performing employees. Keep them challenged with incentives and compensate them. For example, providing commission is a great way to incentivize your workers. If they know money is on the line, they are sure to work harder, smarter, and faster. Remember to follow through on your promises of commission. Don’t tell them they will receive extra cash for a task and then change the task. Getting commission shouldn’t be a game of cat and mouse for your employees. As a business owner, you will field all sorts of questions so, it’s important to be clear. When you answer a question about a service that you do not provide, it’s OK to say “no” and try to provide an alternative. If you are wishy-washy and unclear about whether or not you can help the customer, they will just be left confused. Most probably, they will return to ask you, again. In other cases, it is best to decisively say “yes,” when you do carry a product or service a customer asks about. No sense to beat around the bush, then, right? Make the sale! You may already know this but – live by it. If you failed to carry a product or provide a service that was promised, own up to it. Never enter a dispute with the customer. Provide possible dates the product or service will be available. And if a product or service was provided but, not to the customer’s satisfaction, ask how you can make them happy. MWBEzone is for small business owners and individuals across the nation. Originally, it was started for minority and women business owners but it has now become the go-to place for small business grants. Remember to search using the categories, geographic focus, and funding source. Are you a nonprofit, school, or other organization looking for funding for extracurricular activities for youth or sports and recreation? Or, are you a small business or individual looking for funding for extracurricular activities for youth or sports? Maybe you want to enhance learning, safety and health for youth; maybe you want to start a sports program; or maybe you need funding for classroom projects and field trips. In a 2005 study, it was found that participation in extracurricular activities was related to better academic, psychological, and behavioral adjustment among high-schoolers. In another 2008 study, it was found that participation in organized activities was associated with higher grades. In addition, the value of the school or perception of the school’s importance for the future was enhanced. Also, self-esteem and resiliency were improved upon; and engagement in risky behaviors became less frequent. 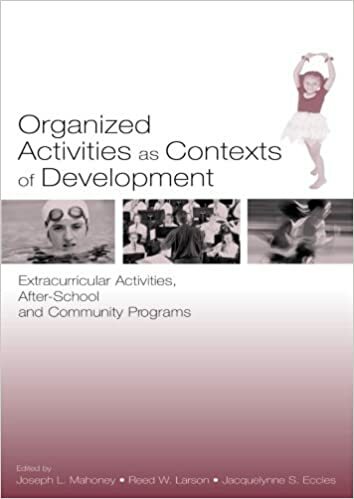 Here is a special read for professionals who administer extracurricular activities for youth and develop youth policy: Organized Activities As Contexts of Development: Extracurricular Activities, After School and Community Programs by Joseph L. Mahoney, Reed W. Larson, and Jacquelynne S. Eccles. It discusses how organized youth activities help develop a sense of emotional, social, and civic responsibilities. The book explains how it allows young people to develop skills in competencies that are overlooked by schools. Are you in agriculture and looking for the appropriate grants? Check out MWBEzone.com for grants in Farming/Agriculture. There, you’ll find grants and awards for conservation activities, agricultural techniques, and continued education. Agriculture was a driving force of human civilization. It was and is the practice of cultivating animals, plants, and other products for food. Without safe and effective farming and agriculture, we would not have food on our dinner tables. According to the USDA, the number one crop in America is corn. This is followed by cotton and wool. If you’re considering starting an agricultural business, MWBEzone is also the place to be. We get many calls from people wanting to start up farming or agricultural businesses. So, if you fall into that category, check out the grants and awards we have listed. 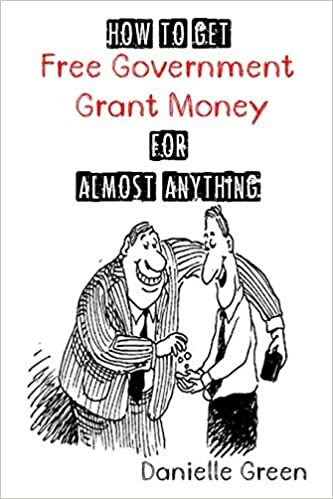 To learn more about how and where to apply for grants, check out How to Get FREE Government Grant Money for Almost Anything: How to get free government grants and money. This book explains that the US government gives what it calls $300 billion worth of free money to taxpaying citizens. In addition, it gives billions to private businesses and foundations. MWBEzone.com was originally intended for women and minorities. Today it now lists grants for both genders and all small businesses in conjunction with GrantWatch.com. For a subscription to MWBEzone.com/GrantWatch.com, check out the pricing and plans page. We recommend the one year subscription at $199 because it is the biggest bang for your buck. Pam Thomas, a generous individual of Chattanooga, Tennessee, is offering to sponsor three (3) free subscriptions to GrantWatch.com! She raised enough money, in a group effort at her church, The Rock Metropolitan Community Church. Each subscription is a $78 value for a 3-month subscription. When asked why she chose to give something away, Pam answered that she sees a lot of poverty in Chattanooga. She noticed the costs to have access to grants and understood that people in inner city or rural areas may not have the funds for the service. “They don’t have the opportunity to apply for grants and I want to help,” she said. “Give a man a fish, and you feed him for a day. Teach a man to fish, and you feed him for a lifetime.” Particularly, Pam wants people to have funds to start a business. She thought GrantWatch.com would be the opportunity for that. GrantWatch.com does list grants for startups. Normally, you have to be a paid subscriber to do an advanced search for this, but we will link them here. Pam is a member of the LGBT community, herself. She feels the same way about gangs. She identified the area surrounding her church in Chattanooga, as a poor African American neighborhood. They are riddled with gangs and feels that if an individual had an opportunity, they could lift themselves out of the environment. Veterans have also proven to her to be a group in need, in Chattanooga. While volunteering for her church in the winter, she gave away winter products and hygiene products and noticed that a considerable portion of the homeless population were veterans. She also has a close friend who was a member of the army and has struggled to find work after leaving. MWBEzone.com is meant for minority and female individuals. Pam did not want to exclude females from her offer. She said that women can be a part of any of those groups. Grants at MWBEzone.com are linked to GrantWatch.com. So, a subscription at GrantWatch.com would enable you to apply for grants at MWBEzone.com. Pam’s offer is open until all three subscriptions are taken. If you’re in the Chattanooga or north Georgia area and interested in her offer, call our office at (561)249-4129. About the Author: Staff Writer also writes for GrantWatch.com and its affiliates. Technology has come a long way. In the past 30 years, I have seen the transition from VHS to DVD to streaming; the transition from audio cassette to CD to mp3; the transition from cordless phone to cell phone to smart phone. Don’t even mention the changes my parents have seen. But are all these changes good? Of course they are! They make our lives easier. MWBEzone.com has grants for technology. Teaching applies the use of innovative technology. While I was introduced to a MOS operating system to do math problems in the 2nd grade, 1st graders are now using portable devices to practice math. But is it better? Well…maybe, maybe not. A tool (no matter how technologically advanced) is measured by when, where, why, and how it can be used. In this day, let’s agree there are technological standards that must be met for anyone. Internet is a must. Most places of education or employment are enabled with online portals that allow students/parents or employees to communicate with educators or administrative staff. This means every home or person has to be equipped with a computer, at least. Just like Rikki Tikki Tavi saved his owners by ingenuity, you can be Rikki Techie Tavi and help a community by bringing technological advancements. Maybe you are a technology educator, an individual, or working on a technology project to better your community. You could get improved technology in your classroom, get support for your individual interests, or find funding for your project. Search on MWBEzone.com. 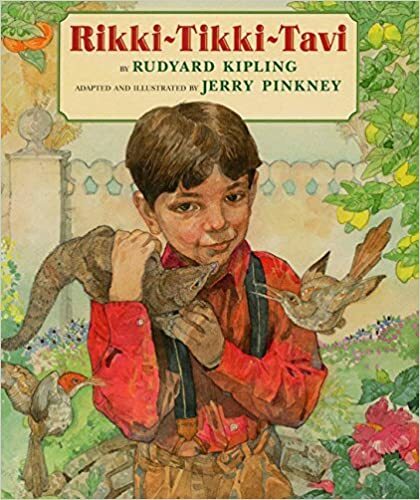 If you want to own the story of Rikki Tikki Tavi, check out Jerry Pinkney’s illustrations of Rudyard Kipling’s classic story, Rikki-Tikki-Tavi. It is a timeless masterpiece that has been passed down from generation to generation. 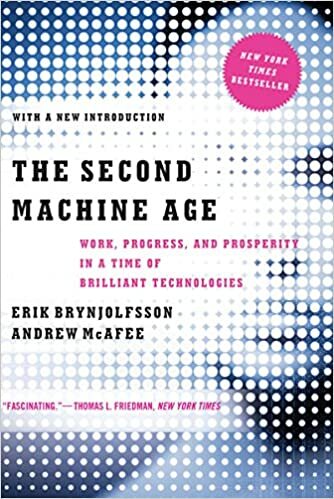 Or, if you want to learn more about how technology causes reinvention in our lives and in our economy, read The Second Machine Age: Work, Progress, and Prosperity in a Time of Brilliant Technologies by Erik Brynjolfsson and Andrew McAfee of MIT. The authors identify one strategy for survival among all the changes as reformulating education. So, if you are working towards technological advancements for your educational system, community or the population at large, check out the available grants on MWBEzone.com. About the Author: Sabeen is currently an MPH student with a background in Mass Communications. She writes for GrantWatch.com and its affiliates. With a 62.7% increase of minorities enrolled in 4-year universities, studies show minorities are still underrepresented in higher educational institutions. Grants are available at MWBEzone.com for individual minorities and on GrantWatch.com for IHE, Institutes for Higher Education looking to provide minority higher education programs to increase the involvement of minorities in higher education activities. According to the National Center for Education Statistics, in the fall of 1998, 6,228,052 white students enrolled in 4-year universities compared to 1,983,275 minorities. Fast forward to the fall of 2008 when 7,269,860 white students enrolled in 4-year universities compared to 3,226,979 minorities. There was a 62.7% change from 1998 to 2008 among minorities enrolled in 4-year universities. This is a huge improvement. Representative differences are still apparent. For instance, only 27% of the population enrolled in 4-year universities in the fall of 2008 were minorities compared to the 60% majority of white enrollees. Plus, research evidence points to the fact that minority, low-income, and first generation populations, are worried about acquiring debt through school. Grants are an award and are non-repayable. If you’re an IHE or an individual minority looking to fund your education, search for grants for higher education and for minorities at GrantWatch.com or MWBEzone.com. With grants like these, minorities can fulfill their dreams of higher education. Let’s raise the percentage of minorities enrolling in 4-year universities, together! 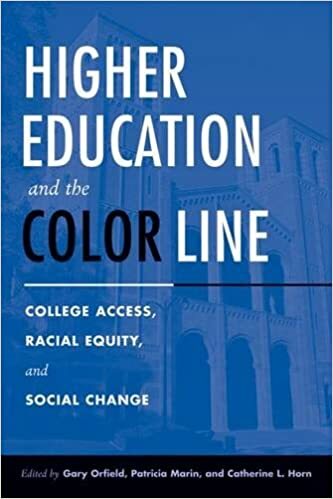 To learn more about the political climate of education in America, read the following book: Higher Education and the Color Line: College Access, Racial Equity, and Social Change by Gary Orfield, Patricia Marin, and Catherine L. Horn. In this book, the authors discuss the racial conversion in higher education as well as basic occlusions that maintain racial hierarchy in postsecondary education. Both are search engines that have categories for grants for minorities and women. There, you can find grants that fit under a variety of categories. If you’re an IHE looking to support the education of minorities and women, check it out! Where Can Small Businesses Find Workforce Development and Apprenticeship Grants? What Are The Key Elements of Successful Online Businesses and Startups? RobertMak on Starting a Business in the New Year?